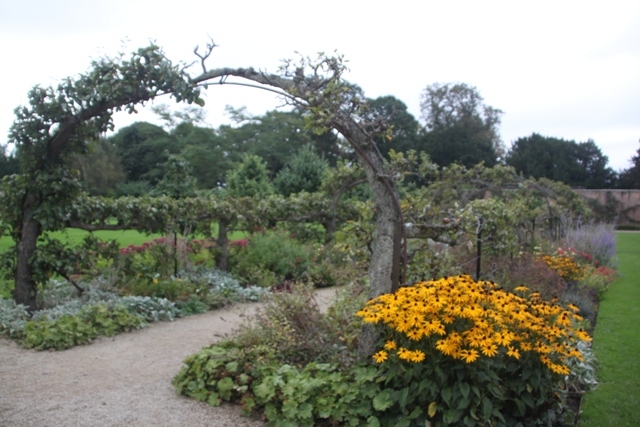 A glorious autumn with sunshine and blue skies, except for the day we went to North Yorkshire. 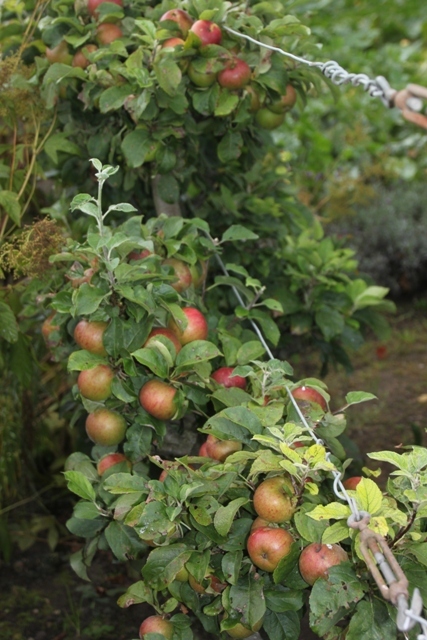 Still, the grey skies and damp weather did not dampen our mood. 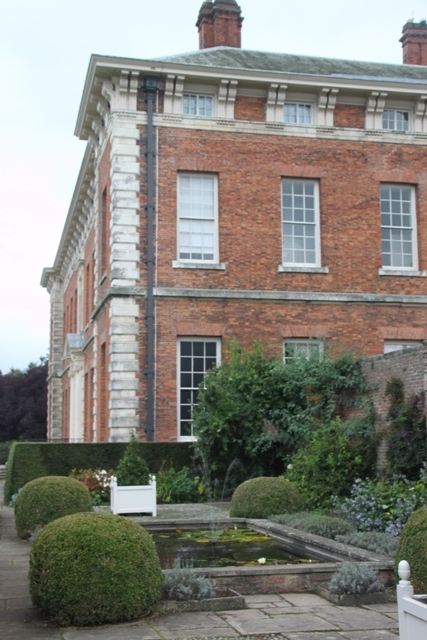 We had a day out at Beningbrough Hall, a stones throw from York (apparently you can see the city from upstairs) but it felt miles away from anywhere, deep in the countryside. 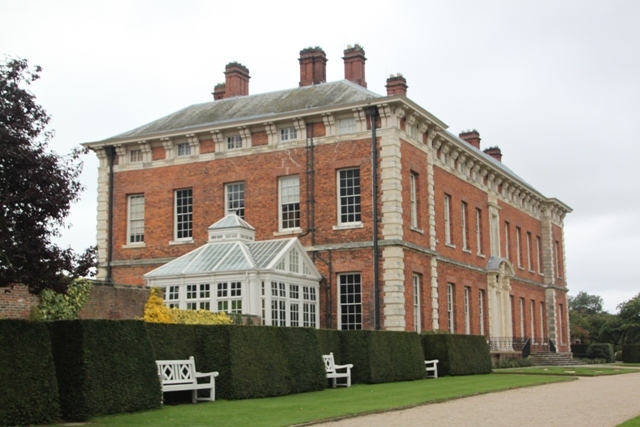 A gorgeous Georgian mansion overlooking the River Ouse, it made for a great family day out. A very swanky approach – the driveway is big, wide, long and grand and when you spy the huge red brick house at the top, impressive is an understatement. 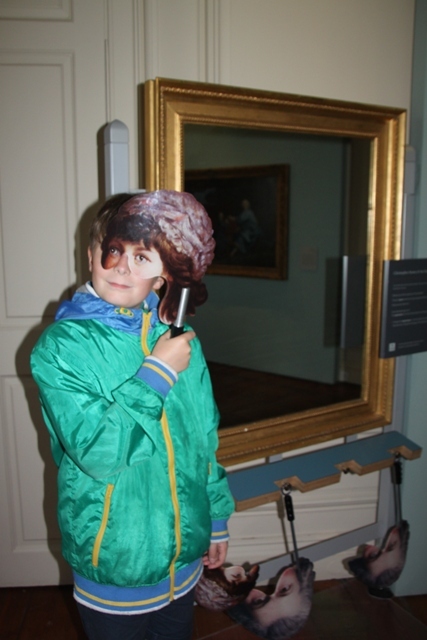 We had two reasons for coming – for me the portraits on permanent loan from the National Portrait Gallery in London was a big draw; for Son the fact it was shortlisted for the Guardian Family Friendly Museum Award in 2010 was much more appealing. National Trust run meant free entrance for us and we were pleased to be given an audio guide in the entrance. I had to cast mine aside after a short while, Son today was not in the mood for history, trying to keep track of him I gave up on the audio extras. To be honest I didn’t really mind, sometimes looking, absorbing and taking-in is just as good – here there is plenty to feast the eyes upon. The entrance hall is grand – it instantly takes you into the past back to another time – elegant furniture, panelled walls and those exceptional portraits. The portraits are everywhere, in various rooms they complement the grand decor beautifully. 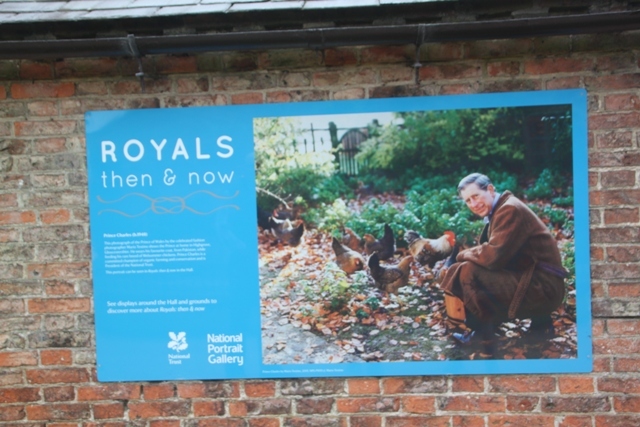 The Royals – Then And Now Exhibition was also going on – running until November it is a new collection of contemporary royal portraits again displayed throughout the house. They had a Mario Testino picture of Princess Diana, Andy Warhol’s interpretation of the Queen, the first official showing of Prince George’s christening portrait and plenty of others. Beautiful though the downstairs is Son glanced briefly at the rooms then made it his goal to get to the top floor as soon as was politely possible. A good reason for this – upstairs is a whole series of interactive play galleries. I have to say, although billed as “for kids”, the adults in our family loved it all as much as any small person. Stacks of hands-on stuff and all in association with the National Portrait Gallery these activities were creative and different. 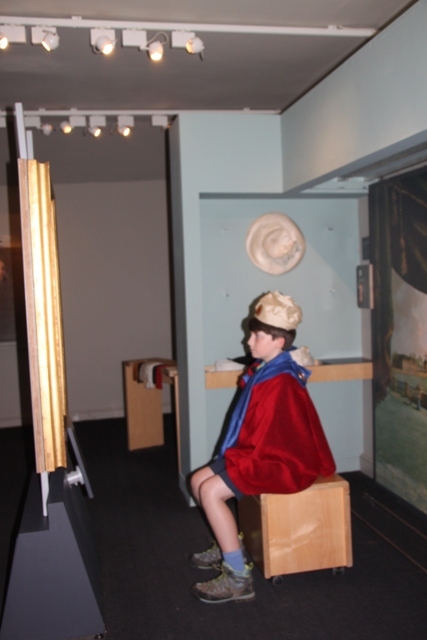 I can’t tell you how much fun we had setting up and featuring in our own virtual 18th century portrait, we made clay noses for a sculpture and completed other activities with a arty/portrait type theme. All super and all a bit different to the normal kids’ things you find in places like this. Outside we had a civilised stroll around the estate, until Son spotted the sign for the Wilderness Play Area and then he was off. 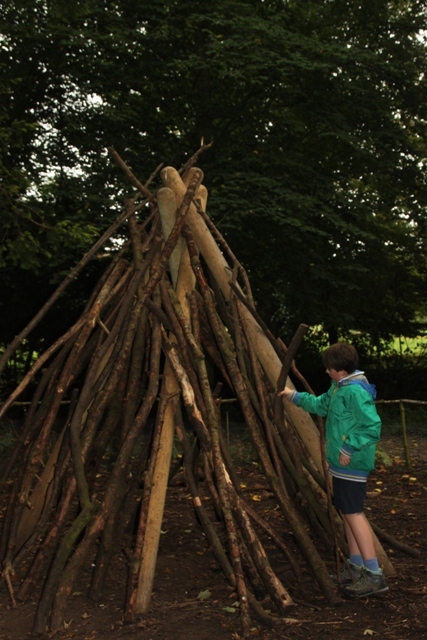 Very imaginatively designed, we spent a fair bit of time there and all got involved in a spot of den building. 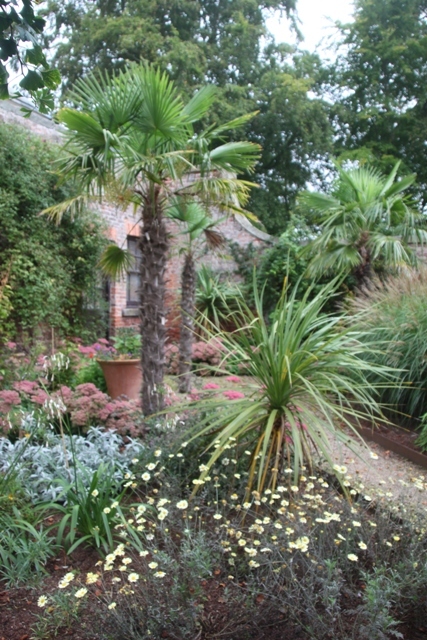 The gardens are glorious – lovely paths and flowers, great views of the back of the house too. 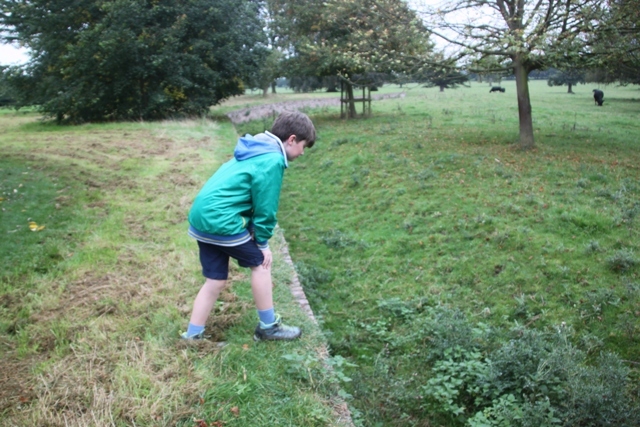 Son was most taken with the “ha-ha” – a sunken wall to prevent the sheep and cattle entering the garden. Even from a short distance you can’t tell it is there, very clever and the lack of fences means countryside (and cattle) stretching out before you. On the way out we called in at the Earl Lichfield exhibition – 15 Lichfield portraits of the Royal Family displayed in the hayloft – interesting and worth a quick five minute peek. 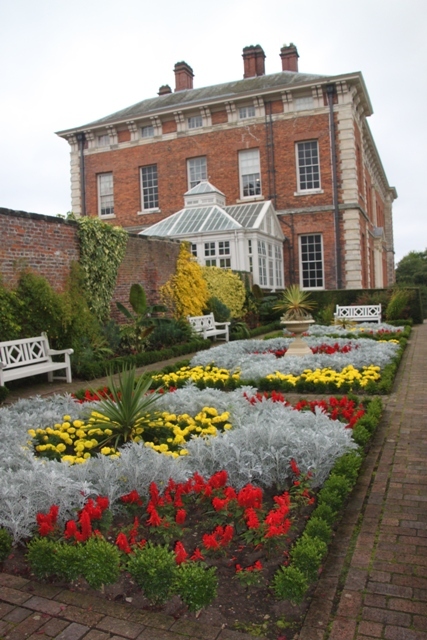 A great day out, we were all very impressed with Beningbrough Hall – beautiful interiors, gorgeous grounds and the best hands-on kids stuff in a long time in a museum. The perfect Saturday afternoon out. 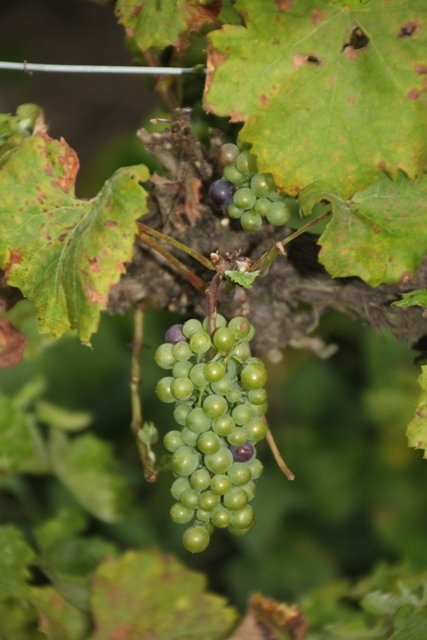 Just ripe for picking I think!! 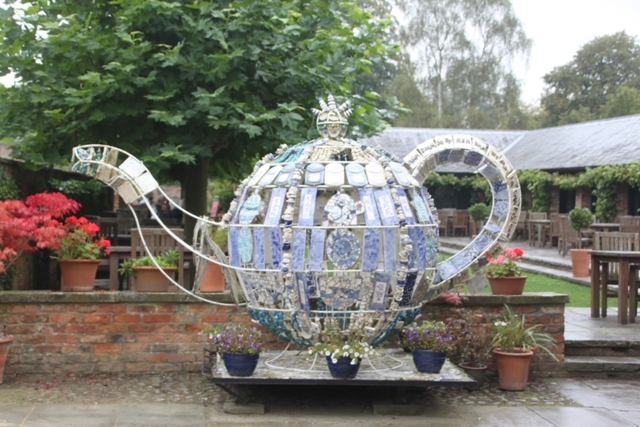 I loved that teapot too!! It sounds as if they very much warranted their 2010 award. They definitely did!! It was a great place for families and so much fun too. The portraits were what drew my attention in the first place Rosemary and were wonderful to see, but even had they not been there Beningbrough Hall is a wonderful day out. The grounds and countryside are gorgeous (but then this is Yorkshire!!) and even without kids in tow we would have loved all the hands-on stuff. What a marvelous place – you’re so lucky to have these National Trust treasures in the UK, Joy. I wish we had something like that in South Africa too. 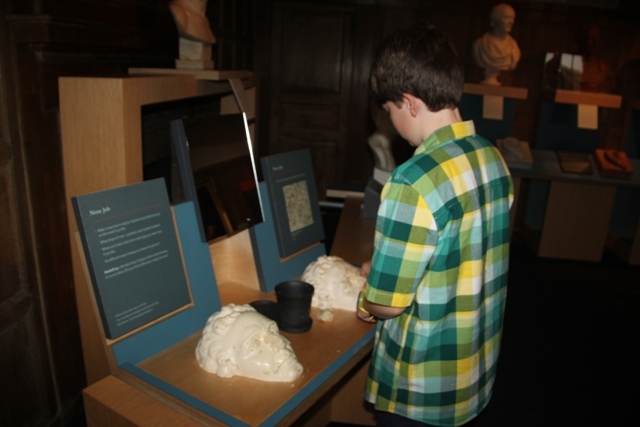 They seem to be such a great way of making history come alive for the next generation. I definitely agree Reggie, the National Trust is great and by having membership (not that expensive) it makes days out at places like these cost next to nothing, an extra bonus. Looks like a great place to explore! It’s lovely – both inside and out!! How on earth can I have been to that area so many times yet have never been there? It looks like a really great place for a family day out. I love that NT properties are now putting more effort into engaging children in the history, architecture and art of their surroundings than they certainly ever did when I was a nipper. I only heard/read about it fairly recently and it was something about the portraits that caught my attention!! The hands-on activities were superb – it makes a huge difference when you bring kids to what would otherwise be a bit of a staid and boring place. Agree totally that I don’t remember any of this in my long distant youth!! Love how family friendly it is. Makes for great day out for everyone! Thanks for sharing your visit. 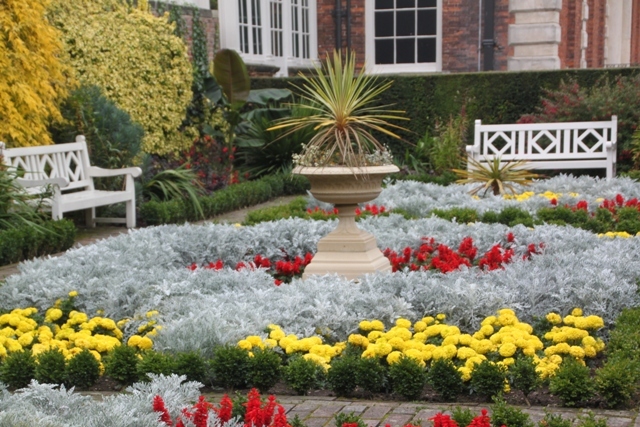 It is a great place to spend the day Anna – we loved it, adults and children alike! 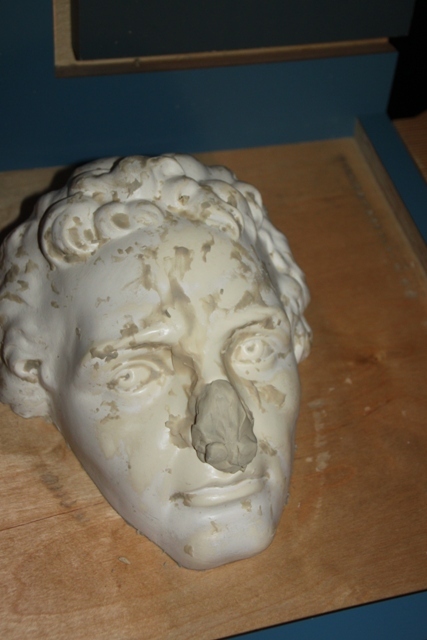 Those clay noses were fun – although our artistic ability is seriously lacking!! It was such a fun place but lots of history too. 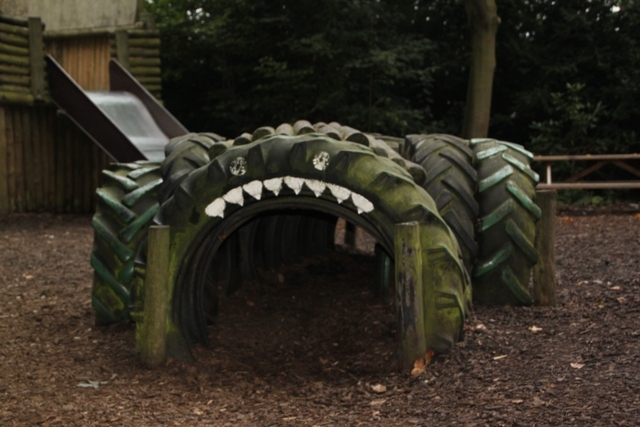 The playground really impressed me – everything was wooden or recycled which was great.